All you need to know for the big weekend. Check for more info at the STLTP website or the TPP site. Kim Massie One of the most recognizable voices in St. Louis. We are less than 2 weeks away from the last major Tea Party event before the historic November 2 Election. St. Louis has been selected as the “Gateway to November.” We want to make our event a difference-maker in the mid-term election. First, please tell everyone you know. Ask them to tell their friends, too. Ask them to check out the official event page: http://www.recyclegovernment.org/stlouis. Ask them to Like our facebook fan page and register on the event page. If they’re not getting our newsletter, tell them they can choose between Daily or Weekly (Monday a.m.) delivery. Second, you can help cover the cost of this event by sponsoring yourself or others for just $3. Third, you can help greatly by selling food or merchandise in a booth a table. Just fill out this form, and we’ll get in touch with you. And REGISTER yourself and everyone in your house to vote. MORE info forthcoming – stay tuned! Today Missouri joins Kansas and Michigan in primary voting. I’ll be voting YES on Prop C today, the proposition that restores true choice and freedom to Missourians by returning to them the right to choose whether they want to go on government health insurance or whether they want to stay or choose to pay for their own health insurance. It makes honest the President’s words about “if you like your health care plan, you can keep it.” It saves people from the hefty penalties and fines that come with paying your own way for your own choice; and as the individual mandate doesn’t kick in until 2014 – that’s only if Dems retain power after midterms and it’s not looking so hot – meaning that a lot can happen in that time, including de-funding and a total repeal. It’s interesting how the MHA and other opposition tries to characterize people paying their own way and not burdening the system as “freeloaders” when they’ve said nothing about the massive cost that comes with adding 16,000 IRS agents to government payrolls (people subsidized!) to “enforce” health control, though they’ve confessed that they don’t have the funds to actually pay to enforce it. The opposition doesn’t want people to have a choice other than government care. They want to penalize people for NOT being dependent upon the government. Their version of equality is to kill all opportunity and have all opportunity run through the government alone. That’s not “equality.” It’s control. It’s what the MHA and opposition to Prop C are advocating. If you want to make the President an honest man with his promise that “if you like your health care plan, you can keep it” without being fined for not buying a product from the government, an abuse of the commerce clause, if you want to be able to have a choice other than government care, if you want to be less of a burden on the system (again, remember, individual mandate not applicable until 2014 so that argument holds no water for now) then VOTE YES ON PROP C.
Democratic Party. At the same time, African-American communities have been destroyed with crime, broken families, unemployment, escalating dropout rates and immorality. Its no coincidence that in these communities you will find Democrats repeatedly elected with super-majorities. Andre Harper, a former Democrat, exposes how he rejected the dominant political thought process that has crippled the black community. He outlines how many of today’s political elite have gained control of the American political system by exploiting African-Americans and the so-called poor. Harper explains how the same oppressive tactics used by politicians like Andrew Jackson, Franklin D. Roosevelt, Lyndon Johnson are still being used today by those who masquerade as “progressives”. Harper gives first hand accounts of how he overcame poverty and realized the American Dream which he believes is available to all Americans. Harper empowers Americans to reach their potential by emancipating from an environment that is dependent on maintaining a permanent underclass. Political Emancipation is a must read for anyone who wants a glimpse into the real African-American experience through the mind of a black man that has defied liberal indoctrination and is able to articulate and masterfully exposes its fallacies. Tim Burns: the Next Scott Brown? 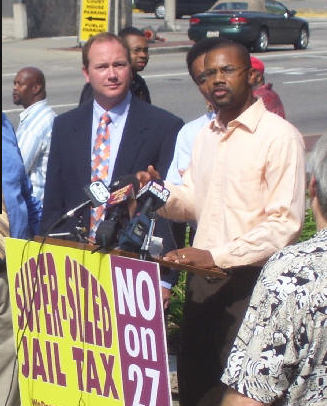 Imagine securing two true David and Goliath victories under the grassroots’ belt. Of course, I’m not the only one imagining Brown passing his torch to Tim Burns, R.S. McCain is as well. Burns is running for John Murtha’s (a man who did not think highly of our men and women in uniform, to put it lightly) seat in PA’s 12th congressional district. He’s the sort of candidate that grassroots loves, and they do, which is why he enjoys immense grassroots support. The thing is this: Burns isn’t a candidate with a failed bid for congress as baggage. He’s a businessman in the habit of creating jobs and was finally fed up enough with out-of-control Washington that chose to approach American governance the way our Founding Fathers intended. Congressional seats were never intended to be lifelong meal tickets. You serve the people, you do your “time,” and you vacate. Everyone willing shared the responsibility. Dynasties were never intended, but sprung up, like weeds, because the electorate did not take the time to properly maintain the process. One of the remarkable things we’re seeing with the grassroots movement is the desire to return to the way our government was intended – and the action to back up that desire. Tim Burns looks to be a step in that direction and a win in PA could send another wave of ripples to Washington. 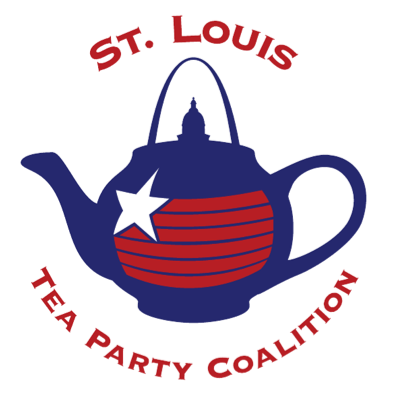 ST. LOUIS — Yesterday the St. Louis Tea Party launched Operation Dem Rescue, an initiative to give support to Democrats who are standing against President Obama and his health control government grab. The President has said that he will not campaign for, or otherwise help, Democrats who refuse to vote “yes” on the health control bill. The President may forsake those who stand against tyranny, but not those in the tea party movement. The St. Louis Tea Party vows to help any Democrat who stands against this health control by throwing our weight behind them in their primaries. The President has employed David Plouffe, former campaign operative, to stack the deck for the elections this fall and we know that the White House will target the Democrats who stood against the President. We will work to counter that in these Democrats’ primaries. We believe that you don’t poke someone in the eye when they are doing good and we believe in grace for all and in the story of the prodigal son. If you stand for individual liberty, limited government, and taking a principled stand, then you will find refuge within the tea party movement. Our websites, DemRescue.org (coming soon) and http://demrescue.wordpress.com/ will chronicle these Democrats’ movements until the vote and will stand to offer them support after the vote, regardless the outcome. They will not stand alone in opposition to this administration. Despite how some in D.C. would like to spin it, the majority, MAJORITY, M-A-J-O-R-I-T-Y of Americans do not want this fake health care reform that is more about excessive government control than actual REFORM. All politics are local – and their votes hit us locally as they affect our control over our own bodies in terms of health care. – Voted for the Stupak amendment in Nov. 2009 (she was/is a strong backer of the Stupak language). – She voted “YES” for the entire bill, Nov. 2009. #–>Erie, PA = 1-877-528-4948 If that doesn’t work, try (814) 456-2038. – Voted for the Stupak amendment in Nov. 2009. – He voted “NO” for the entire bill in Nov. 2009. – Voted “NO” for the entire bill in Nov. 2009. – Told Foxnews.com that he is “not afraid to cast a tough vote…” Like a ‘NO’ vote…! Please ask him to remember his statement, and to be a ‘man of courage’…! #–>Canton, OH = 800-826-9015 If that doesn’t work, try (330) 489-4414. – He’s in a TOSS-UP RACE this fall. – He is NOT running for re-election. Additionally the St. Louis Tea Party site has info on the evening protest downtown. 24thstate has info on the dollar trail. Just received a phone call from my sons high school, they will be letting school out at 11:00 am on Wed 3-10-2010. The school has been chosen as the place that Obama will deliver his Health care speech from. So the kids will lose half a day’s education so BHO can grandstand and ram his communist health care down our th…roats, so much for education. This will take place at St. Charles High in St. Charles Mo. 63301 on 3-10-10.